The appearance day (birthday) of Srila Prabhupada is a very special occasion for all Hare Krishna devotees. 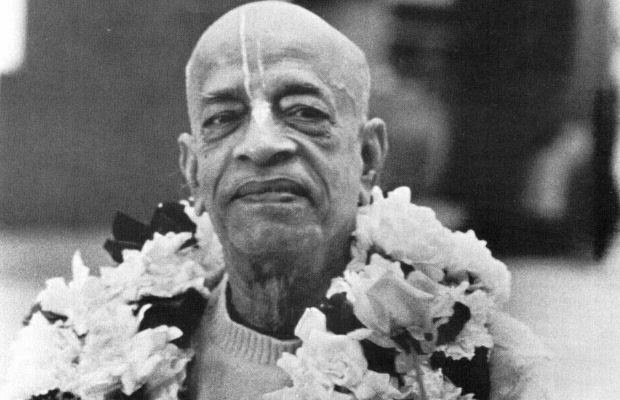 Srila Prabhupada appeared on Nandotsava – the day that Nanda Maharaja had a big festival to celebrate the birth of Lord Krsna (Sri Krsna Janmastami). This year, Srila Prabhupada’s Vyasa Puja falls on Wednesday, August 16, 2017 and celebrations will be from 11am-3pm at the Toronto Hare Krishna Temple. We would like to encourage all devotees in our community to write a personal letter, in the form of an offering to Srila Prabhupada for this year’s festival and, to further facilitate this process, we will be making a special ISKCON Toronto Vyasa Puja Book for 2017. This book will be presented to Srila Prabhupada on the day of Vyasa Puja. Following the program, the book will be on display for devotees to read all the offerings by devotees of our community. Please note – due to time constraints during the festival, we will not be able to have everyone read out their offerings during the main festivities. However, devotees are welcome to privately do so before or after the festival. In order to facilitate this whole process, pre-printed pages have been prepared and we are asking devotees to hand write offerings onto these specially-designed pages. The maximum length of the offering is one page per person. If you wish to type your offering, you can use our Vyasa Puja online form using the form below - typed offerings must be emailed by 8:00am on August 16th. We will print out these offerings for you. The hand-written offerings can be submitted in person at the temple, in the designated drop box, up until 11:00am on August 16th.